This luxurious treatment begins with a warm softening soak, dull skin and dry cracked cuticles are gently removed. Nails, cuticles, hands and arms receive a nourishing rehydrating massage after which nails will be filed and coloured in a shape and colour of your choice. 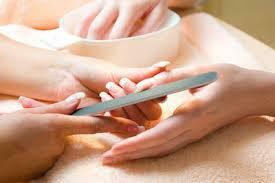 Cuticles are softened and removed, nails filed and buffed, hand & arm massage followed by an OPI polish. Cuticles are softened and removed, nails filed and buffed, hand & arm massage followed by application of heated wax with heated mitts, followed by an OPI polish. Cuticles are softened and removed, nails filed and buffed, heated mitts and a warm mask applied followed by a hand & arm massage followed by an OPI polish. This deluxe treatment begins with a warm softening soak, dull skin and dry cracked cuticles are gently removed. Nails, cuticles, feet and legs receive a nourishing rehydrating massage after which nails will be filed and coloured in a shape and colour of your choice. Leg & foot exfoliation, cuticles are softened and removed, leg & foot massage followed by file and OPI polish. Leg & foot exfoliation, cuticles are softened and removed, heated mitts with a warm mask applied followed by a leg & foot massage and ending with a file and OPI polish. Foot soak, exfoliation, cuticles are softened and removed, foot and leg massage followed by application of heated wax with heated mitts, nail file and OPI polish. Softens hard skin and calluses quickly, leaving your feet soft, clean and flip flop ready! 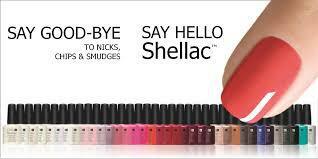 Callus peel treatment followed by cuticle softening and removal, foot and leg massage, nail file & OPI polish.